English Language Academy at SCBS offers a continuous enrolment preparation course for both the IELTS Academic Examination and the IELTS General Training Examination. These courses are designed to familiarize you with the four different papers and improve your skills to help you obtain the result you need. You will study fifteen hours per week and complete a substantial amount of homework. 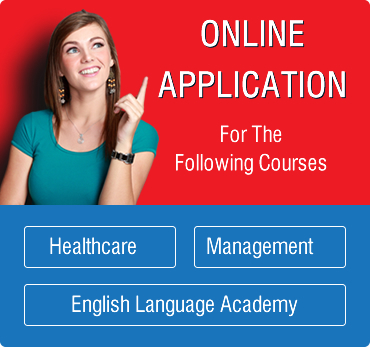 IELTS is now essential for those hoping to study at UK universities or work in the nursing profession. Your course will introduce you to all of the tasks contained within the exam and individual attention from your tutor will help improve your writing, reading, listening and speaking skills. The IELTS exam takes place almost every Saturday in London and the academy is happy to help you organize your examination registration. You can find out your result in just two weeks and remember that a good IELTS result will also improve your CV. The IELTS examination fee is approximately £145. IELTS for LIFE – a General English course that prepares students to take the IELTS General Training Exam. This course is suitable for strong intermediate students and above and is available at our normal General English course prices. Students may enroll on this course any first Monday of the month. IELTS for STUDY – a special course in Academic English that prepares students to take the IELTS Academic Exam, an essential requirement for all students who are interested in applying to study at a university or college in the UK in the future. This course is suitable for upper-intermediate students and above. Students may enroll any week of the year but it should be noted that a minimum enrolment of 4 weeks is required to reflect the demanding nature of the course. The minimum level is Intermediate, and the entire time is devoted exclusively to IELTS examination practice at our school. Get proof of your ability in English by preparing for and taking a Cambridge exam. Many students find that a First Certificate, Advanced or Proficiency exam certificate opens new doors for them. An examination preparation course requires fifteen weeks of full-time study but some students may be able to prepare in less time than this. With maximum number of 15 students per class you will receive lots of individual attention but also have lots of opportunities to practice new language with your classmates. Exam classes have a maximum of 10 students: 5 – 10. Classes start first Monday of August 2016, September 2016. Please note that each 3-hour class has 3 hours of study time excluding breaks. SCBS is not open on Public Holidays. Exam course fees do not include exam registration fees.